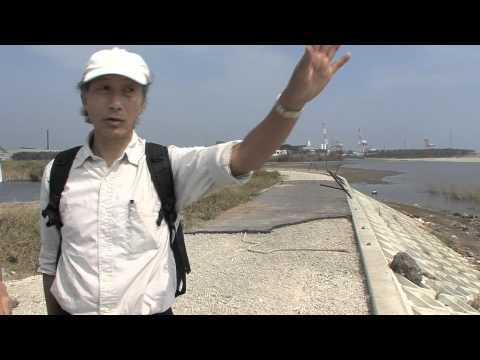 I went on an on-site inspection tour conducted by the Japan Society on Water Environment and visited the Gamou Tidal Flat and the Minamigamou Purification Center. 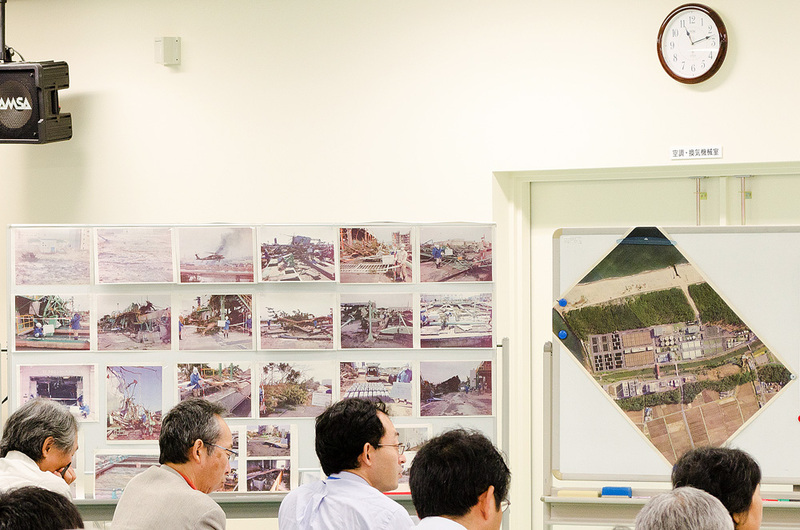 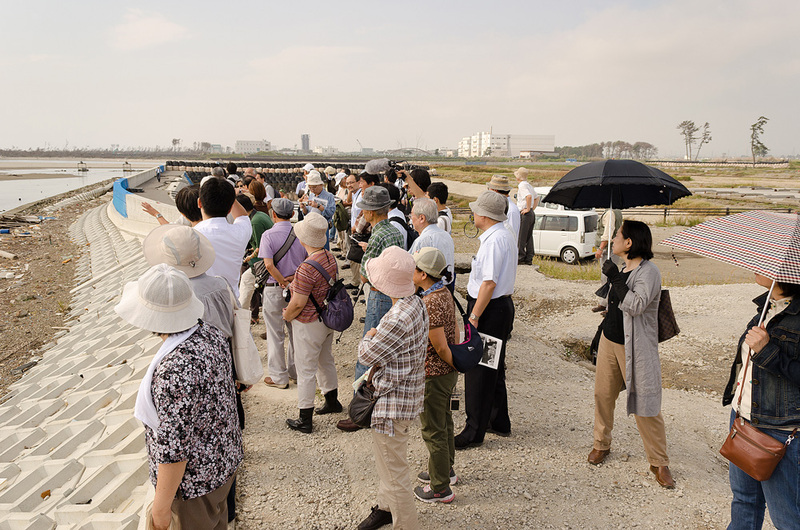 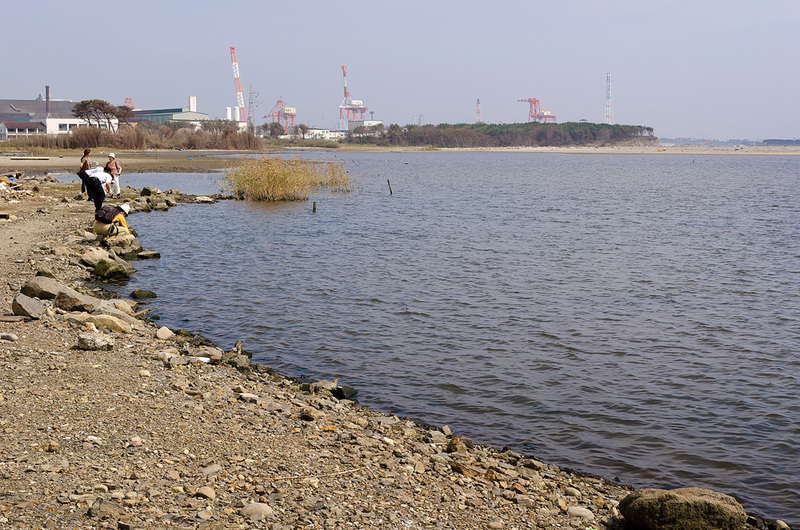 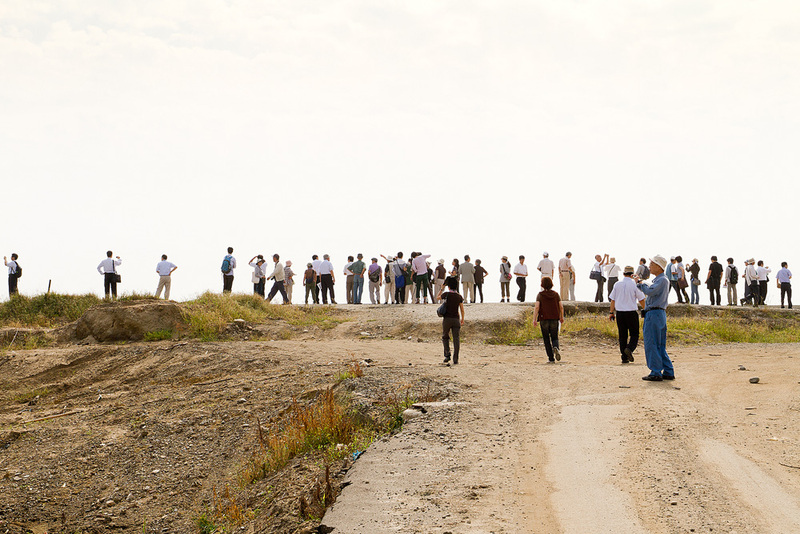 Participants received an explanation of the current status of the Gamo Tidal Flat from Research Associate Takao Suzuki from the Tohoku University Graduate School of Life Sciences. 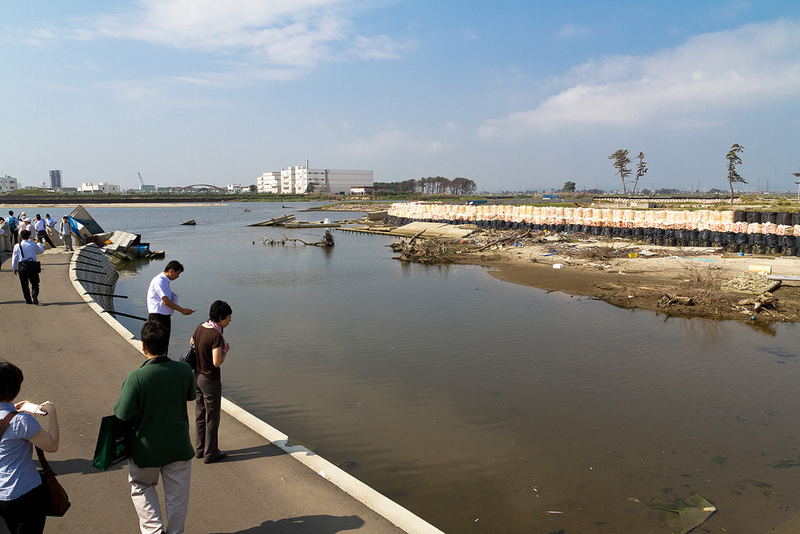 You can see the purification center beyond the broken embankment and large sandbags. 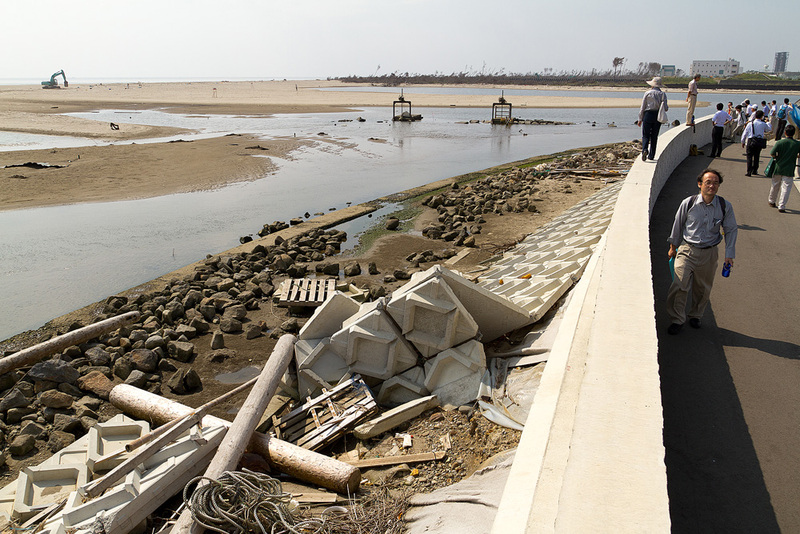 On the tidal flat, cleanup work was underway using heavy machinery. 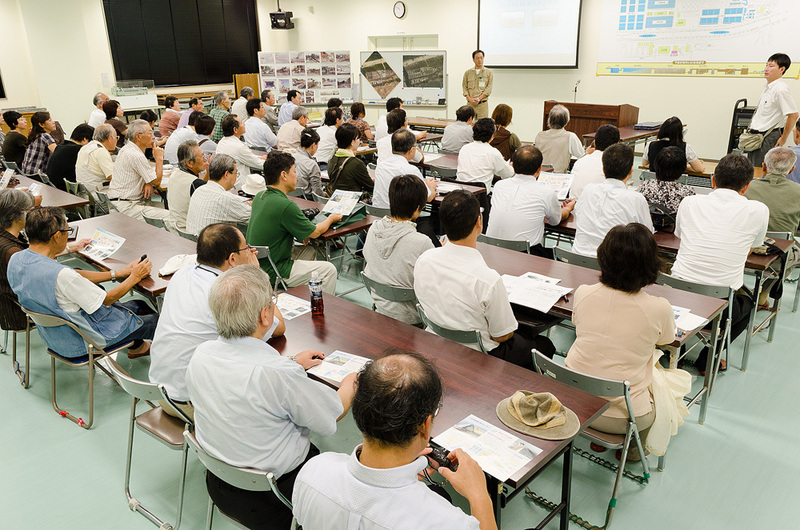 We moved to the purification center to hear an explanation from the purification center staff. 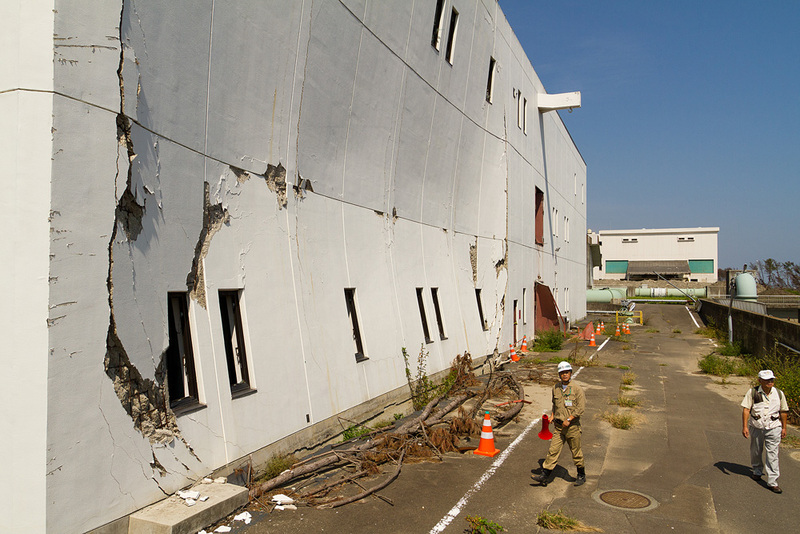 Relevant materials regarding damage at the Minamigamou Purification Center are available at “Damage Status of the Minamigamou Purification Center” on the Sendai City website. 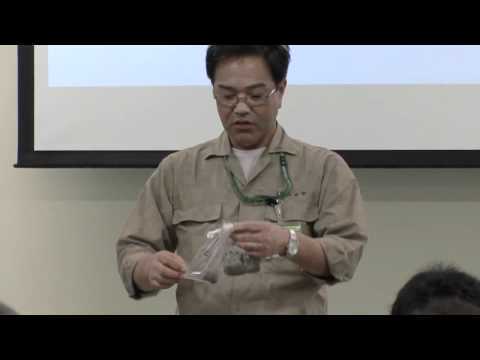 In addition, a video taken by the purification center staff has been uploaded on YouTube. 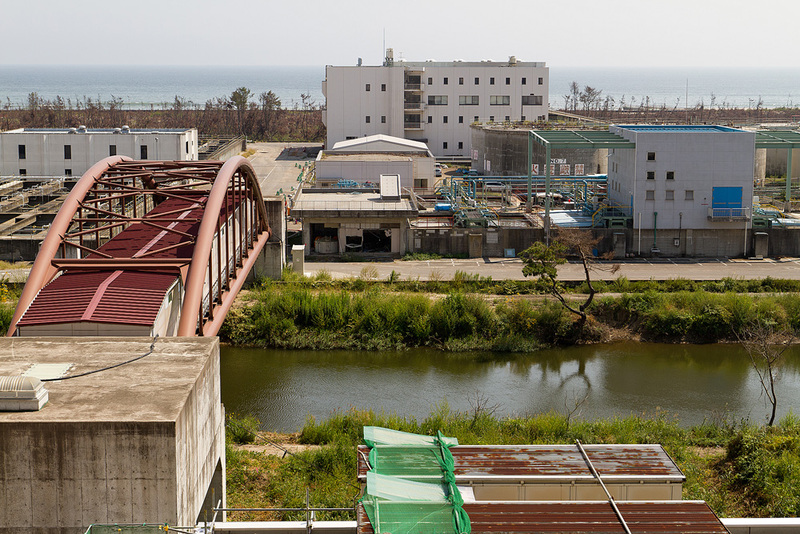 From the roof of the administrative building of the purification center where the video was taken. 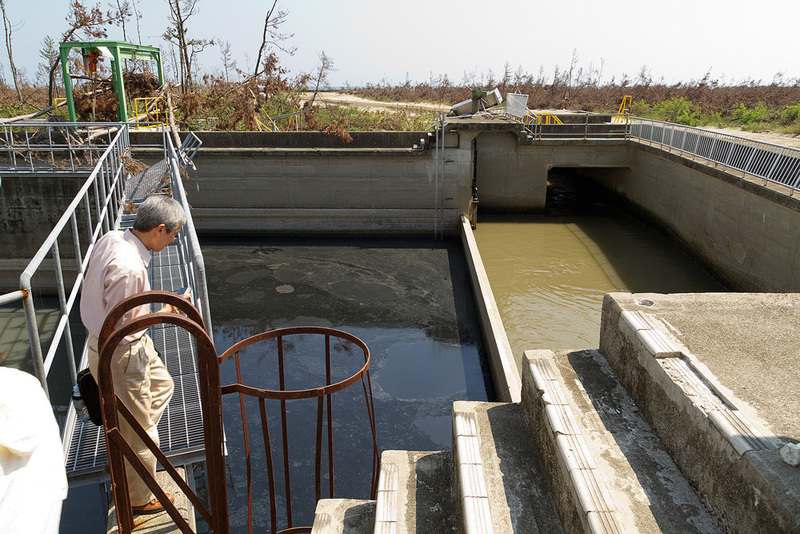 The Third Pump Station near the sea. 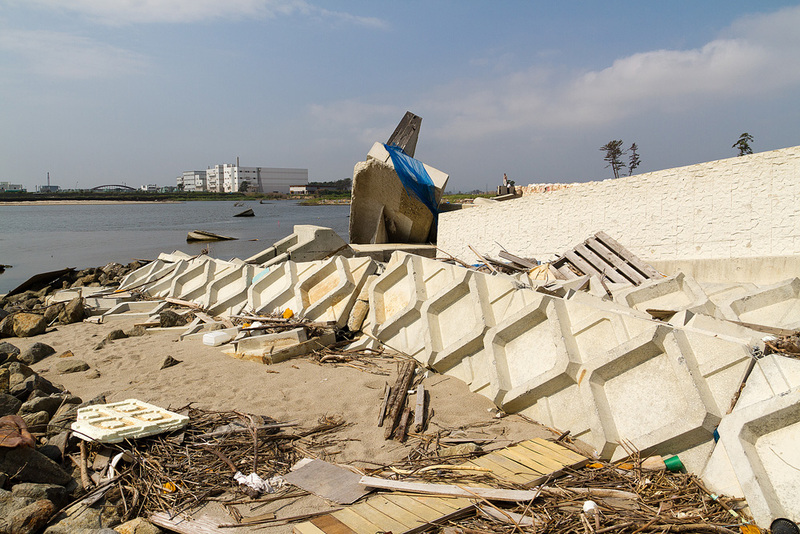 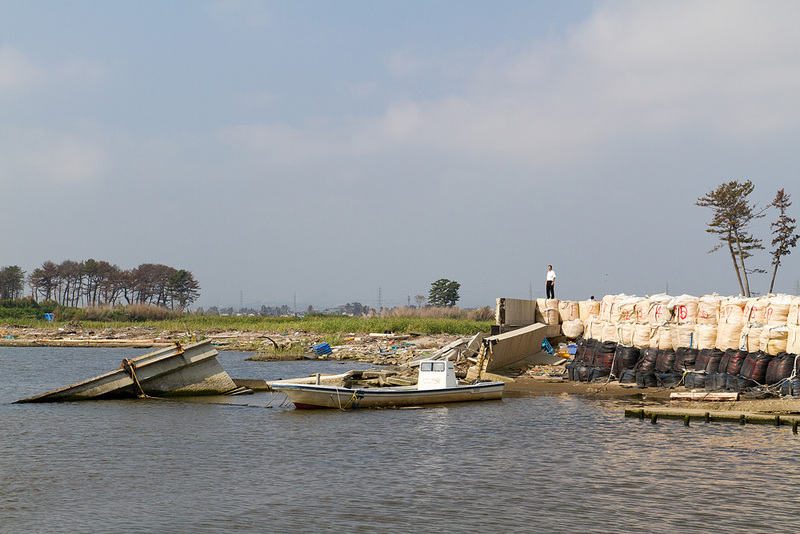 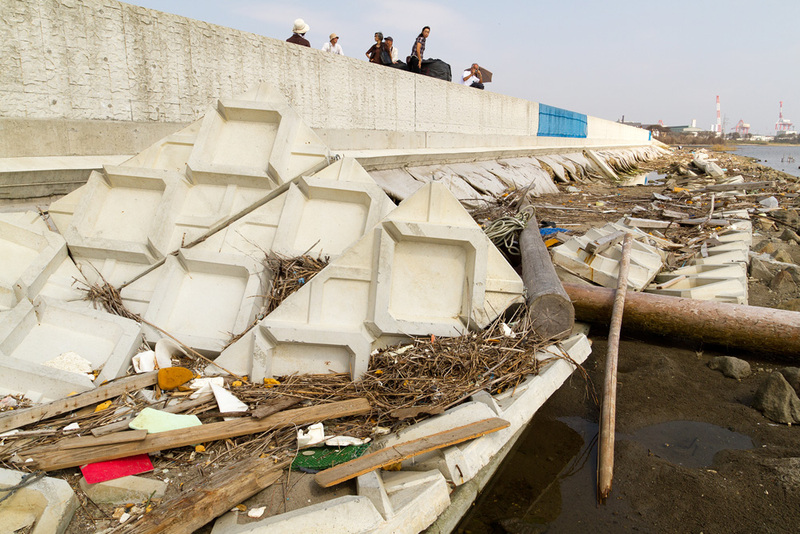 A wall hit by the tsunami. 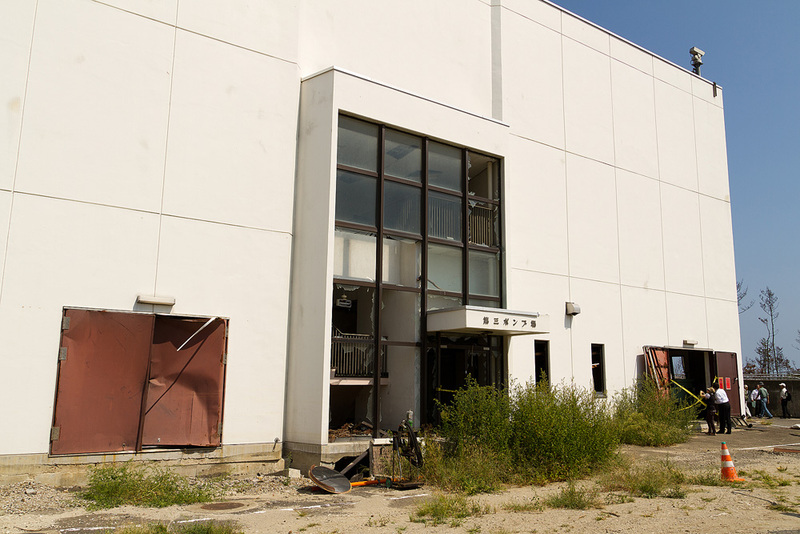 It is badly dented. 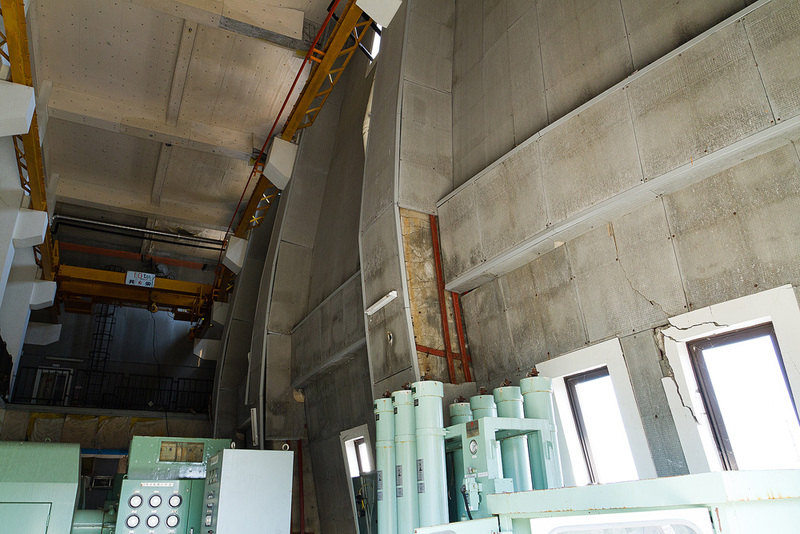 The wall of another building that stands next to the Third Pump Station. 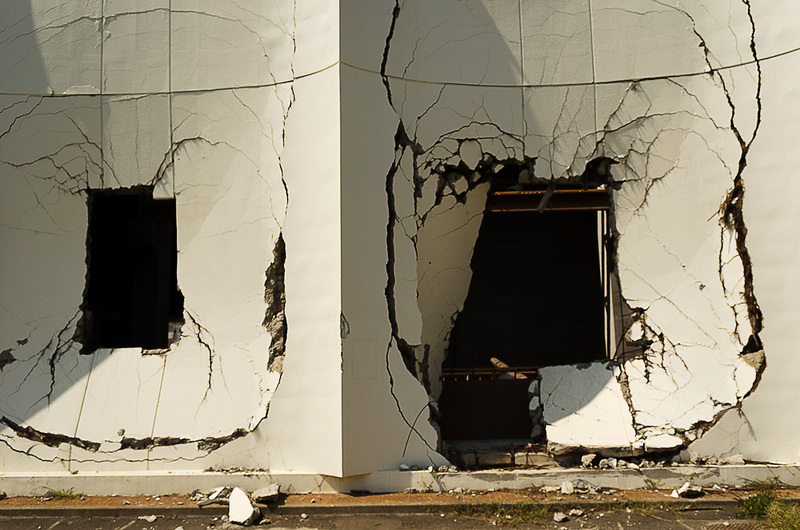 The wall suffered extensive damage probably because the windows were large. 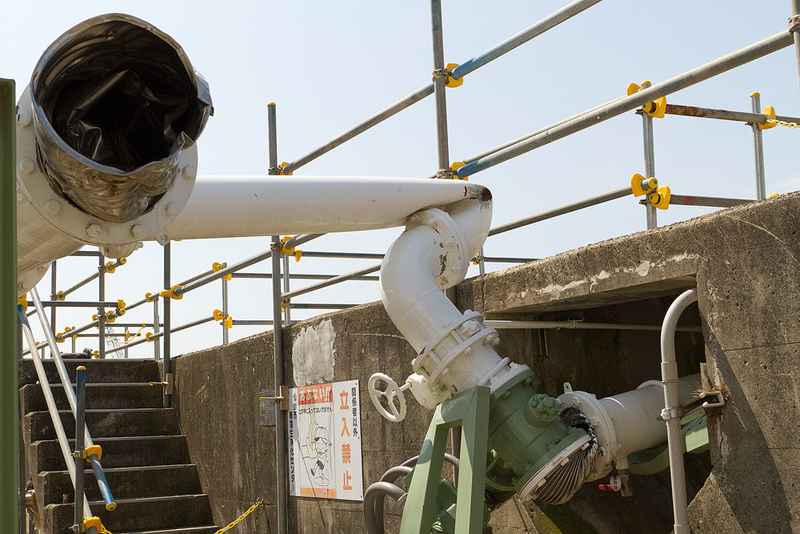 A badly twisted steel pipe. 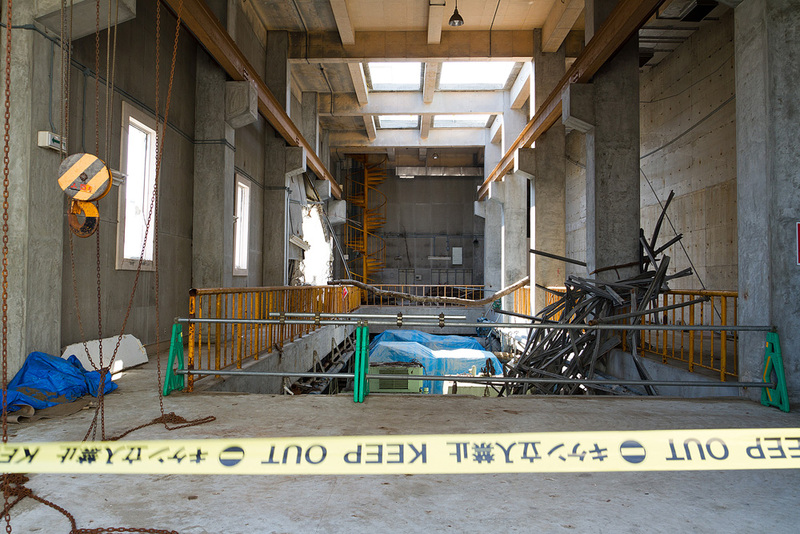 As of September 2011, despite six months having passed since the earthquake, removal of the damaged buildings and equipment has not yet been completed, which shows the size of the damage. 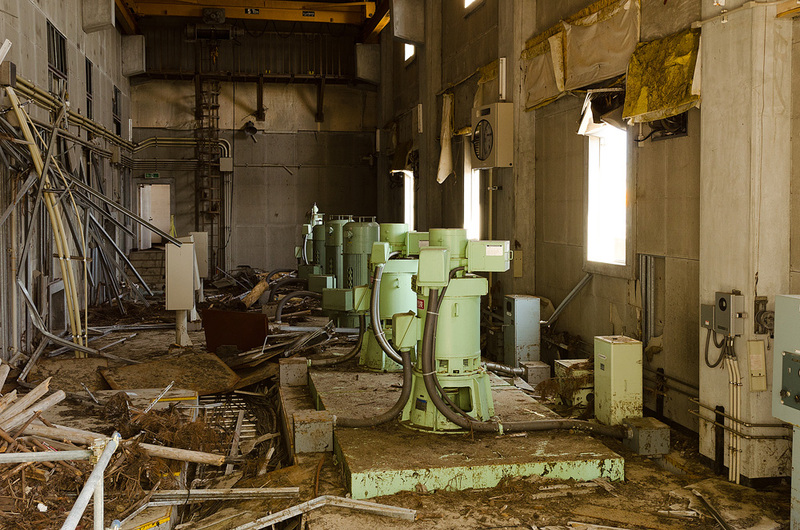 I learn that it is expected to take about five years before the facility will be functioning again. 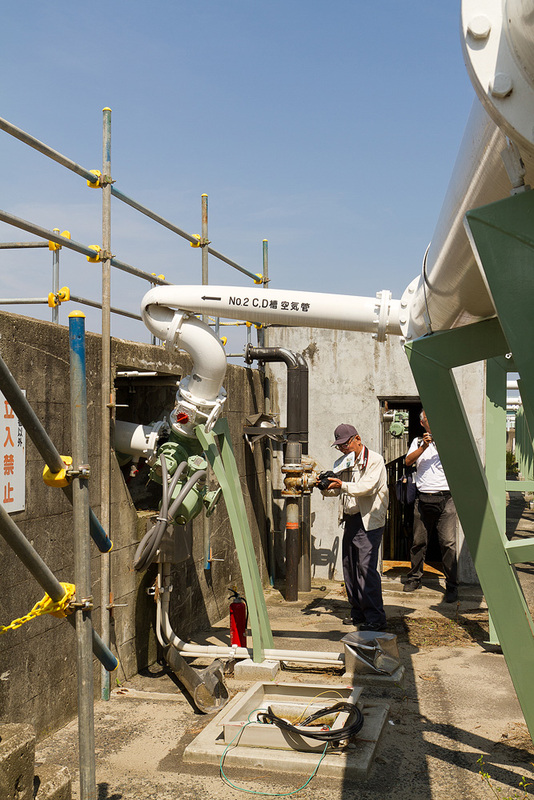 The restoration of the facility is described in detail on the relevant page of the Sendai City website.